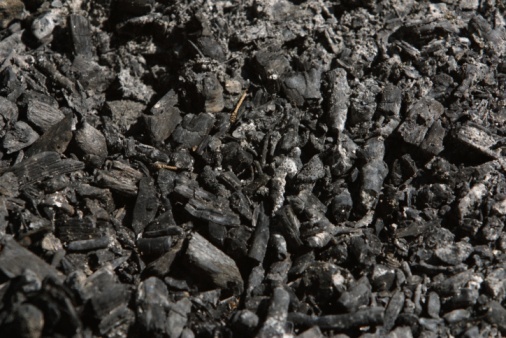 Knowing how to safely and properly do charcoal ash is important, whether you are cooking on the grill in your backyard, cleaning out your fireplace or burning leaves. Since ashes can appear to be entirely cooled, yet still contain hot coals, one must take extra care to assure their ashes are safe to throw away. With a little bit of information, you can dispose of ashes in a safe and effective manner. Dispose of charcoal ash safely and properly to avoid fires. Allow used charcoal to cool for 48 hours before disposing of it. Pour water over hot charcoals and stir them carefully in order to hasten the cooling process. Wrap the cooled charcoal ashes in heavy-duty tin foil. Place the wrapped ashes in an trash container located outdoors. The ashes can be picked up by your local trash collection.